The Entrust Group proves to be a well-regarded account administrator for tax-advantaged plans and self-directed retirement accounts. They boast more than three decades of experience in the industry, as well as around $4 billion in assets under administration. A key selling point is that they offer more traditional office locations than any of their rivals in the self-directed IRA administration and custodian business. From these branches, they deliver plans for both individuals and businesses. The Entrust Group is ranked #5 on our list of the top 10 IRA custodians of 2019. In the following review, we’ll discuss this custodian’s business background, management, reputation, products/services, and their fees for a precious metals IRA. The company's Founder and CEO is Hubert Bromma, a pioneer in the field of self-directed IRAs with nearly 5 decades experience in the financial industry. Mr. Bromma's expertise includes banking, real estate, alternative investments, financial institution consulting, and mergers and acquisitions. The company's president is Jason Craig, former Assistant Vice President at Greater Bay Bank. Mr. Craig has nearly 15 years experience in the financial services field. To learn more about The Entrust Group's Management, see The Entrust Group Team page. Take note of the fine print above the Termination Fees heading. The Entrust Group is not partnered with any depositories, and they do not include storage fees within the $150 annual recordkeeping fee, but the storage costs charged by your depository will be billed directly to your account. Thus, the overall cost of owning a precious metals IRA with The Entrust Group will depend on the annual fees charged by your preferred depository. It's always best to choose a storage provider that charges a flat-rate storage fee, as opposed to sliding scale fees that increase with the value of the account. Also keep in mind that some custodians include the cost of storage within their annual fees. To learn more about The Entrust Group's fees for a precious metals IRA, see their complete fee schedule. Self-Directed IRA Basics – A brief overview of the basics of a self-directed IRA. What is a Self-Directed IRA? 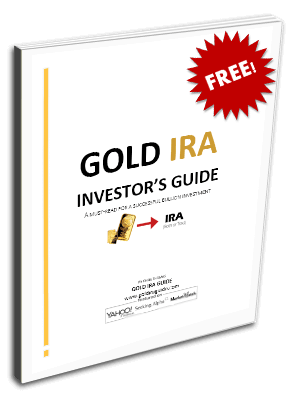 – Explains the types of investments that can be made within a self-directed IRA, discusses various account types like Gold IRAs and offshore IRAs, and provides a short overview of the history of self-directed IRAs. Forms – Here you can find all of the forms their clients use to open accounts and complete transactions., including their precious metals IRA fee disclosure form. If you're an owner, representative, or associate of The Entrust Group and you've found any of the details in this review to be erroneous, misleading, or outdated, please do contact us with your concerns. With the intent of providing the most accurate reviews on an ongoing basis, we will gladly revise or remove any content that is outdated or incorrect. Best online reputation of any Gold IRA company; A+ rating with the better Business bureau, AAA rating with the Business Consumer Alliance, and 5-star ratings on Yelp, The Yellow Pages, Google= and Trustlink.org. The company has over three decades of experience in the retirement plan business. Their assets under administration are around $4 billion, making them a large and well-regarded operation. The company boasts more physical branch locations than any of their rivals. They deliver retirement plans for both individuals and businesses, including Roth IRAs, SEP IRA's, and Simple IRAs. The company's $150 yearly record keeping charge does not cover any storage or depository costs. Clients must arrange their own storage option as the firm does not partner with depositories.